I am waiting for more tins to arrive so that I can add more scents to the shop, but in the meantime, I’d love to hear if there is anything specific you’re looking for??? Please leave me a comment below if you have any requests. There are a few options for spray deodorant and roll-on perfume…more will be added as I restock my supplies. I am also in the process of repackaging my lip balms so that my shop will officially be plastic free! 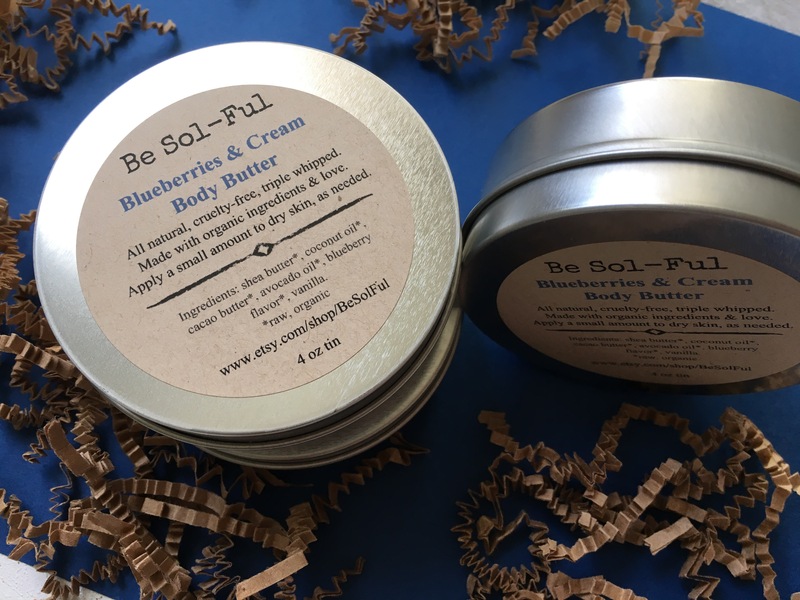 I’m saying goodbye to the BPA-free tubes and introducing small tins that can also double as a quick healing balm for skin. I hope to have them in the shop within the month, but I need to figure out new labels! Click HERE to view my shop. Thank you to everyone who has encouraged me and supported my little shop! Glad to hear you are open again! How about some great scents for winter and holiday gifts?? Yay! Can’t wait to go shopping! I see a trade in the near future 😉😘 Love you!! I can’t wait to try some of these. Just as soon as I get paid next week! 🙂 Question for you though – do you have any advice for naturally treating under eye bags? I come by them genetically and they are terrible. I know I should be getting more sleep, but even so, they are still out of control. I feel like I have tried every over the counter cream and nothing works. Any ideas? Oh, that would be awesome! Thank you, Mandy! I’ll look in to that Acure eye cream in the meantime. Thanks for the tips! I’m sooo happy you have your shop open again because you know I always order a ton of products from you! I love them! 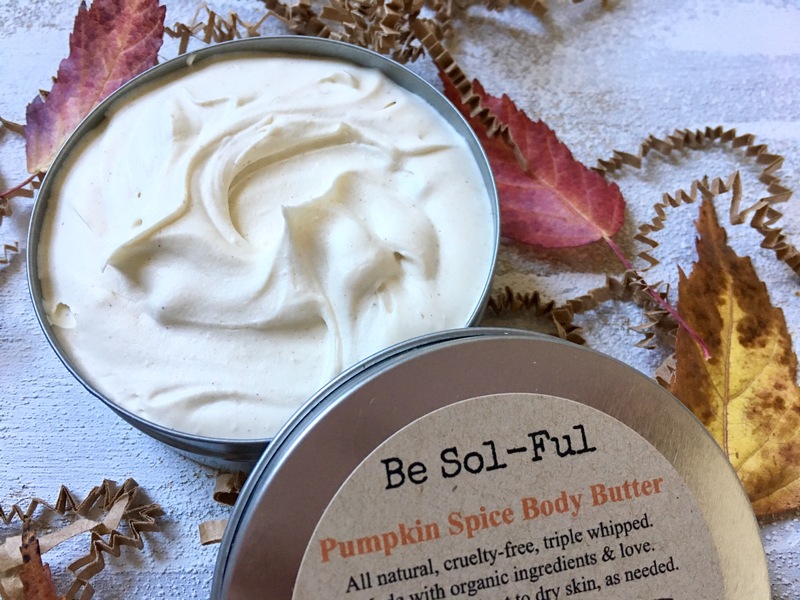 I still have my pumpkin spice body butter and have loved my hair serum, but my favorite is the orange roll-on perfume. You know me, I love really STRONG scents because I find that with so many, they smell good for 5 minutes and then it’s like it totally disappears and the smell is gone. I would love some strong scents like holiday-ish, like ginger or peppermint, something like those rich holiday spice blends you smell in candles you know? I don’t buy those type of candles anymore since they are harmful chemicals, but I miss the scents. I really, really love coconut and tropical scents because they tend to be strong but the scents make me happy and relaxed. Ok, I think I’ve gone on enough, hahaha! That blueberry one sounds amazing and I can’t wait to check out more of your deodorant sprays! I will of course go buy some soon! Eeeeep! I’m anxious for you to try it! I’ll be shipping it out tomorrow…I’m hopefully sneaking in a new product for you try for me…fingers crossed it turns out! XOXOXO Thank you for always being so supportive!